Fishing Report: August Fishing - August 5, 2018 - Fishing with Gus! 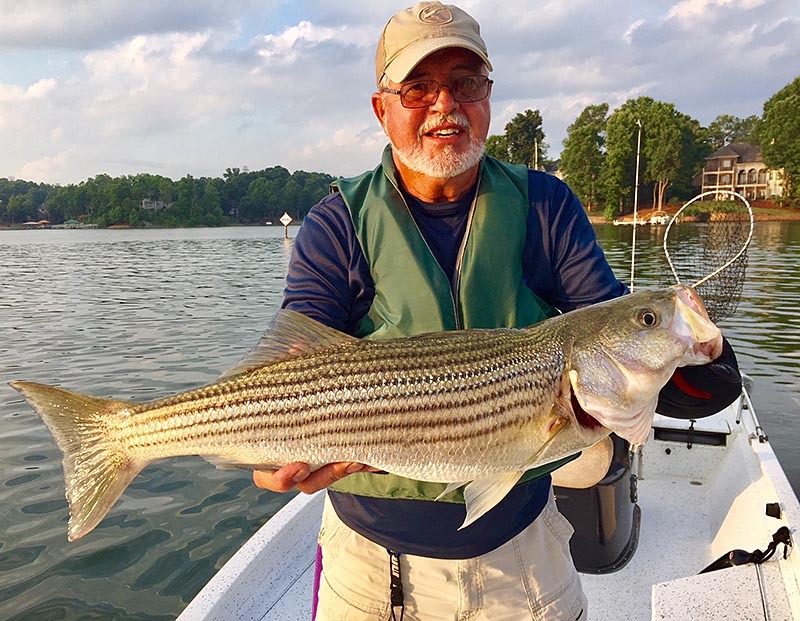 Photo: Ron Frye with a Lake Norman striped bass he caught in July 2018.
presence will add an exciting dimension to our fall fishing. are cooler. So, why wait? Go fishing now, while they’re biting. since ripples and waves help to defuse sunlight. weighted lures can reach the bottom in twenty plus feet of water. lizards and grubs fished on Texas or drop shot rigs. spoon) as a trailer. 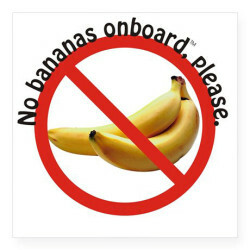 It will tempt the most stubborn eater. bridge pilings and lighted boat docks. great. Give it a try. You won’t be disappointed! rocks, stumps and other habitat attract bass and other game fish. The lake level on Norman is about 2.0′ below full pond. The surface water temperature is in the high eighties and low nineties in water not affected by power generation.